Beautiful beige pillbox base is made from wool fabric with elastic band for best fit. 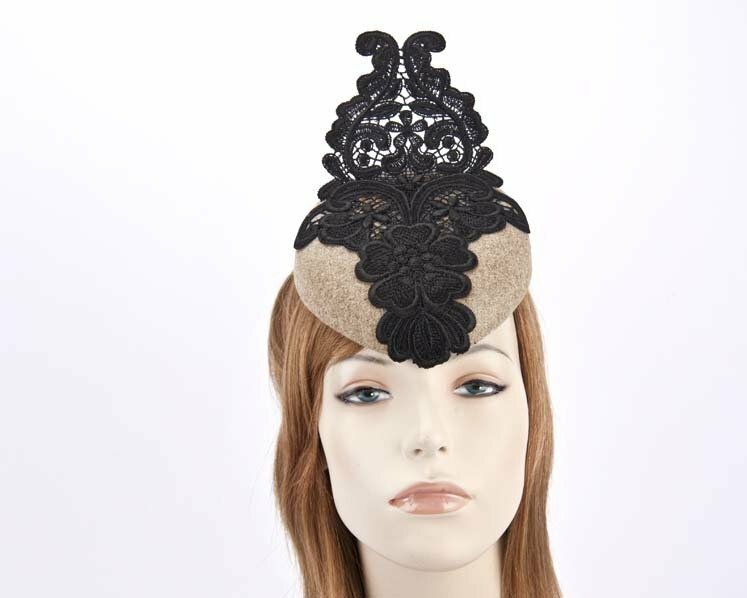 A tall black lace trim gives this fascinator truly unique look. Want to impress everyone at next autumn/winter racing meeting? Then try this stunning fascinator. We dare you!